What did the great Reformer, Martin Luther, think about the reality of justification by faith alone? 292. It is impossible for a papist to understand this article: ‘I believe the forgiveness of sins.’ For the papists are drowned in their opinions, as I also was when among them, of the cleaving to our inherent righteousness. The Scripture names the faithful, saints and people of God, It is a sin and shame that we would forget this glorious and comfortable name and title. But the papists are such direct sinners, that they will not be reckoned sinners; and again, they will neither be holy nor held so to be. And in this sort it goes on with them untoward and crosswise, so that they neither believe the Gospel which comforts, nor the law which punishes, But here one may say: the sins which we daily commit, offend and anger God; how then can we be holy? Answer: A mother’s love to her child is much stronger than the distaste of the scurf upon the child’s head. Even so, God’s love towards us is far stronger than our uncleanness. Therefore, though we be sinners, yet we lose not thereby our childhood, neither do we fall from grace by reason of our sins. Another may say: we sin without ceasing, and where sin is, there the Holy Spirit is not; therefore we are not holy, because the Holy Spirit is not in us, which makes holy. Answer: The text says plainly: ‘The Holy Ghost shall glorify me.’ Now where Christ is, there is the Holy Spirit. Now Christ is in the faithful, although they have and feel and confess sins, and with sorrow of heart complain thereof, therefore sins do not separate Christ from those that believe. The God of the Turks helps no longer or further, as they think, than as they are godly people; in like manner also the God of the papists, So when Turk and papist begin to feel their sins and unworthiness, as in time of trial and temptation, or in death, then they tremble and despair. But a true Christian says: ‘I believe in Jesus Christ my Lord and Savor,’ who gave himself for my sins, and is at God’s right hand, and intercedes for, me; fall I into sin, as, alas! oftentimes I do, I am sorry for it; I rise again, and am an enemy unto sin. So that we plainly see, the true Christian faith is far different from the faith and religion of the pope and Turk. But human strength and nature are not able to accomplish this true Christian faith without the Holy Spirit. It can do no more than take refuge in its own deserts. 293. All men, indeed, are not alike strong, so that in some, many faults, weaknesses, and offenses, are found; but these do not hinder them of sanctification, if they sin not of evil purpose and premeditation, but only out of weakness. For a Christian, indeed, feels the lusts of the flesh, but he resists them, and they have not dominion over him; and although, now and then, he stumbles and falls into sin, yet it is forgiven him, when he rises again, and holds on to Christ, who will not ‘That the lost sheep be hunted away, but be sought after’. 294. Why do Christians make use of their natural wisdom and understanding, seeing it must be set aside in matters of Faith, as not only not understanding them, but also as striving against them. Answer: The natural wisdom of a human creature in matters of faith, until he be regenerate and born anew, is altogether darkness, knowing nothing in divine cases. But in a faithful person, regenerate and enlightened by the Holy Spirit, through the Word, it is a fair and glorious instrument, and work of God: for even as all God’s gifts, natural instruments, and expert faculties, are hurtful to the ungodly, even so are they wholesome and saving to the good and godly. The understanding, through faith, receives life from. faith; that which was dead, is made alive again; like as our bodies, in light day, when it is clear and bright, are better disposed, rise, move, walk, etc. more readily and safely than they do in the dark night, so it is with human reason, which strives not against faith, when enlightened, but rather furthers and advances it. So the tongue, which before blasphemed God, now lauds, extols, and praises God and his grace, as my tongue, now it is enlightened, is now another manner of tongue than it was in Popedom; a regeneration done by the Holy Ghost through the Word. A sanctified and upright-Christian says: My wife, my children, my art, my wisdom, my money and wealth, help and avail me nothing in heaven; yet I cast them not away nor reject them when God bestows. such benefits upon me, but part and separate the substance from the vanity and foolery which cleave thereunto. Gold is and remains gold as well when a strumpet carries it about her, as when ‘tis with an honest, good, and godly woman. The body of a strumpet is even as well God’s creature, as the body of an honest matron. In this manner ought we to part and separate vanity and folly from the thing and substance, or from the creature given and God who created it. 295. Upright and faithful Christians ever think they are not faithful, nor believe as they ought; and therefore they constantly strive, wrestle, and are diligent to keep and to increase faith, as good workmen always see that something is wanting in their workmanship. But the botchers think that nothing is wanting in what they do, but that everything is well and complete. Like as the Jews conceive they have the Ten Commandments at their fingers’ end, whereas, in truth, they neither learn nor regard them. 296. Truly it is held for presumption in a human creature that he dare boast of his own proper righteousness of faith; ‘tis a hard matter for a man to say: I am the child, of God, and am comforted and solaced through the immeasurable grace and mercy of my heavenly. Father. To do this from the heart, is not in every man’s power. Therefore no man is able to teach pure and aright, touching faith, nor to reject the righteousness of works, without sound practice and experience. St. Paul was well exercised in this art; he speaks more vilely of the law than any arch heretic can speak of the sacrament of the altar, of baptism, or than the Jews have spoken thereof; for he names the law, the ministration of death, the ministration of sin, and the ministration of condemnation; yea, he holds all the works of the law, and what the law requires, without Christ, dangerous and hurtful, which Moses, if he had then lived, would doubtless have taken very ill at Paul’s hands. It was, according to human reason, spoken too scornfully. 297. Faith and hope are variously distinguishable. And, first, in regard of the subject, wherein everything subsists: faith consists in a person’s understanding, hope in the will; these two cannot be separated; they are like the two cherubim over the mercy-seat. Secondly, in regard of the office: faith indites, distinguishes, and teaches, and is the knowledge and acknowledgment; hope admonishes, awakens, hears, expects, and suffers. Thirdly, in regard to the object: faith looks to the word or promise, which is truth; but hope to that which the Word promises, which is the good or benefit. Fourthly, in regard of order, in degree: faith is first, and before all adversities and trouble, and is the beginning of life (Hebrews 11). But hope follows after, and springs up in trouble (Romans 5). Fifthly, by reason of the contrariety: faith fights against error and heresies; it proves and judges spirits and doctrines. But hope strives against troubles and vexations, and among the evil it expects good. Faith, in divinity, is the wisdom and providence, and belongs to the doctrine. But hope is the courage and joyfulness in divinity, and pertains to admonition. Faith is the dialectica, for it is altogether prudence and wisdom; hope is the rhetorca, an elevation of the heart and mind. As wisdom without courage is futile, even so faith without hope is nothing worth; for hope endures and overcomes misfortune and evil. And as a joyous valor without understanding is but rashness, so hope without faith is spiritual presumption. Faith is the key to the sacred Scriptures, the right Cabala, or exposition, which one receives of tradition, as the prophets left this doctrine to their disciples. ‘Tis said St. Peter wept whenever he thought of the gentleness with which Jesus taught. Faith is given from one to another, and remains continually in one school. Faith is not a quality, as the schoolmen say, but a gift of God. 298. Everything that is done in the world is done by hope. No husbandman would sow one grain of corn, if he hoped not it would grow up and become seed; no bachelor would marry a wife, if he hoped not to have children; no merchant or tradesman would set himself to work, if he did not hope to reap benefit thereby, etc. How much more, then, does hope urge us on to everlasting life and salvation? 299. Faith’s substance is our will; its manner is, that we take hold on Christ by divine instinct; its final cause and fruit, that it purifies the heart, makes us children of God, and brings with it the remission of sins. 300. Adam received the promise of the woman’s seed ere he had done any work or sacrifice, to the end God’s truth might stand fast — namely, that we are justified before God altogether without works, and obtain forgiveness of sins merely by grace. Whoso is able to believe this well and steadfastly, is a doctor above all the doctors in the world. 302. Joseph of Arimathea had a faith in Christ, like as the apostles had; he thought Christ would have been a worldly and temporal potentate; therefore he took care of him as of a good friend, and buried him honorably. He believed not that Christ should rise again from death, and become a spiritual and everlasting king. When Abraham shall rise again at the last day, then he will chide us for our unbelief, and will say: I had not the hundredth part of the promises which ye have, and yet I believed. That example of Abraham exceeds all human natural reason, who, overcoming the paternal love he bore towards his only son Isaac, was all obedient to God, and, against the law of nature, would have sacrificed that son. What, for the space of three days, he felt in his breast, how his heart yearned and panted, what hesitations and trials he had, cannot be expressed. 304. All heretics have continually failed in this one point, that they do not rightly understand or know the article of justification. If we had not this article certain and clear, it were impossible we could criticize the pope’s false doctrine of indulgences and other abominable errors, much less be able to overcome greater spiritual errors and vexations. If we only permit Christ to be our Savior, then we have won, for he is the only girdle which clasps the whole body together, as St. Paul excellently teaches. If we look to the spiritual birth and substance of a true Christian, we shall soon extinguish all deserts of good works; for they serve us to no use, neither to purchase sanctification, nor to deliver us from sin, death, devil or hell. Little children are saved only by faith without any good works; therefore faith alone justifies. If God’s power be awe to effect that in one, then he is also able to accomplish it in all; for the power of the child effects it not, but the power of faith; neither is it done through the child’s weakness or disability; for then that weakness would be merit of itself, or equivalent to merit. It is a mischievous thing that we miserable, sinful wretches will upbraid God, and hit him in the teeth with our works, and think thereby to be justified before him; but God will not allow it. 305. 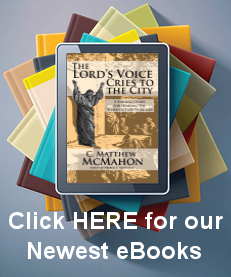 This article, how we are saved, is the chief of the whole Christian doctrine, to which all divine disputations must be directed. All the prophets were chiefly engaged upon it, and sometimes much perplexed about it. For when this article is kept fast and sure by a constant faith, then all other articles draw on softly after, as that of the Holy Trinity, etc. God has declared no article so plainly and openly as this, that we are saved only by Christ; though he speaks much of the Holy Trinity, yet he dwells continually upon this article of the salvation of our souls; other articles are of great weight, but this surpasses all. 306. A capuchin says: wear a gray coat and a hood, a rope round thy body, and sandals on thy feet. A cordelier says: put on a black hood; an ordinary papist says: do this or that work, hear mass, pray, fast, give alms, etc. But a true Christian says: I am justified and saved only by faith in Christ, without any works or merits of my own; compare these together, and judge which is the true righteousness. 307. Christ says: ‘The spirit is willing, but the flesh is weak’: St. Paul also says: the spirit willingly would give itself wholly unto God, would trust in him, and be obedient; but natural reason and understanding, flesh and blood, resist and will not go forward. Therefore our Lord God must needs have patience and bear with us. God will not put out the glimmering flax; the faithful have as yet but only the first fruits of the spirit; they have not the fulfilling, but the tenth. 308. I well understand that St. Paul was also weak in faith, whence he boasted, and said: ‘I am a servant of God, and an apostle of Jesus Christ.’ An angel stood by him at sea, and comforted him, and when he came to Rome, he was comforted as he saw the brethren come out to meet him. Hereby we see what the communion and company does of such as fear God. The Lord commanded the disciples to remain together in one place, before they received the Holy Ghost, and to comfort one another; for Christ well knew that adversaries would assault them. 309. A Christian must be well armed, grounded, and furnished with sentences out of God’s word, that so he may stand and defend religion and himself against the devil, in case he should be asked to embrace another doctrine. 311. Although a man knew, and could do as much as the angels in heaven, yet all this would not make him a Christian, unless he knew Christ and believed in him. God says: ‘Let not the wise man glory in his wisdom, neither let the mighty man glory in his might; let not the rich man glory in his riches: but let him that glorieth, glory in this, that he understandeth and knoweth me, that I am the Lord, which doth exercise loving-kindness, judgment, and righteousness,’ etc. 312. The article of our justification before God is as with as on who is born heir to all his. father’s goods, and comes not thereunto by deserts, but naturally, of ordinary course. But yet, meantime, his father admonishes him to do such and such things, and promises him gifts to make him the more willing. As when he says to him: if thou wilt be good, be obedient, study diligently, then I will buy thee a fine coat; or, come hither to me, and I will give thee an apple. In such sort does he teach his son industry; though the whole inheritance belongs unto him of course, yet will he make him, by promises, pliable and willing to do what he would have done. Even so God deals with us; he is loving unto us with friendly and sweet words, promises us spiritual and temporal blessings, though everlasting life is presented unto those who believe in Christ, by mere grace and mercy, gratis, without any merits, works, or worthinesses. And this ought we to teach in the church and in the assembly of God, that God will have upright and good works, which he has commended, not such as we ourselves take in hand, of our own choice and devotion, or well meaning, as the friars and priests teach in Popedom, for such works are not pleasing to God, as Christ says: ‘In vain do they worship me, teaching for doctrines the commandments of me’, etc. We must teach of good works, yet always so that the article of justification remain pure and unfalsified. For Christ neither can nor will endure any beside himself; he will have the bride alone; he is full of jealousy. Should we teach: if thou believest, thou shalt be saved, whatsoever thou doest; that were stark naught; for faith is either false and reigned, or, though it be upright, yet is eclipsed, when people wittingly and wilfully sin against God’s command. And the Holy Spirit, which is given to the faithful, departs by reason of evil works done against the conscience, as the example of David sufficiently testifies. 313. As to ceremonies and ordinances, the kingdom of love must have precedence and government, and not tyranny. It must be a willing, not a halter love; it must altogether be directed and construed for the good and profit of the neighbor; and the greater he that governs, the more he ought to serve according to love. 314. The love towards our neighbor must be like the pure and chaste love between bride and bridegroom where all faults are connived at and borne with, and only the virtues regarded. 315. Believest thou? then thou wilt speak boldly. Speakest thou boldly? then thou must suffer. Sufferest thou? then thou shalt be comforted. For faith, the confession thereof, and the cross, follow one upon another. Give and it shall be given unto you: this is a fine maxim, and makes people poor and rich; it is that which maintains my house. I would not boast, but I well know what I give away in the year. If my gracious lord and master, the prince elector, should give a gentleman two thousand florins, this should hardly answer to the cost of my housekeeping for one year; and yet I have but three hundred florins a year, but God blesses these, and makes them suffice. 316. There is in Austria a monastery, which, in former times, was very rich, and remained rich so long as it was charitable to the poor; but when it ceased to give, then it became indigent, and is so to this day. Not long since, a poor man went there and solicited alms, which was denied him; he demanded the cause why they refused to give for God’s sake? The porter of the monastery answered: We are become poor; whereupon the mendicant said: the cause of your poverty is this: ye had formerly in this monastery two brethren, the one named Date (give), and the other Dabitur (it shall be given you). The former ye thrust out; the other went away of himself. We are bound to help one’s neighbor three manner of ways-with giving, lending, and selling. But no man gives; everyone scrapes and claws all to himself; each would willingly steal, but give nothing, and lend but upon usury. No man sells unless he can overreach his neighbor; therefore is Dabitur gone, and our Lord God will bless us no more so richly. Beloved, he that desires to have anything, must also give; a liberal hand was never in want, or empty. 317. Desert is a work nowhere to be found, for Christ gives a reward by reason, of the promise. If the prince elector should say to me; Come to the court, and I will give thee one hundred florins, I perform a work in going to the court, yet I receive not the gift by reason of my work in going thither, but by reason of the promise the prince made me. I marvel at the madness and bitterness of Wetzell, in undertaking to write so much against the Protestants, assailing us without rhyme or reason, and, as we say, getting a case out of a hedge; as where he rages against this principle of ours, that the works and acts of a farmer, husbandman, or any other good and godly Christian, if done in faith, are far more precious in the sight of God, than all the works of monks, friars, nuns, etc. This poor, ignorant fellow gets very angry against us, regarding not the works which God has commanded and imposed upon each man in his vocation, state, and calling. ‘He heeds only superstitious practices, devised for show and effect, which God neither commands nor approves of. 318. St. Paul, in his epistles, wrote of good works and virtues more energetically and truthfully than all the philosophers; for he extols highly the works of godly Christians, in their respective vocations and callings. Let Wetzell know that David’s wars and battles were more pleasing to God than the fastings and prayings even of the holiest of the old monks, setting aside altogether the works of the monks of our time, which are simply ridiculous. 319. I never Work better than when I am inspired by anger; when I am angry, I can write, pray, and preach well, for then my whole temperament is quickened, my Understanding sharpened, and all mundane vexations and temptations depart. 320. Dr. Justus Jonas asked me if the thoughts and words of the prophet Jeremiah were Christianlike, when he cursed the day of his birth. I said: We must now and then wake up our Lord God with such words. Jeremiah had cause to murmur in this way. Did not our Savior Christ say: ‘O faithless and perverse generation! How long shall I be with you, and suffer you?’ Moses also took God in hand, where he said: ‘Wherefore hast thou afflicted thy servant? Have I conceived all this people? Have I begotten them?’A man mast needs be plunged in bitter affliction when in his heart he means good, and yet is not regarded. I can never get rid of these cogitations, wishing I had never begun this business with the pope. So, too, I desire myself rather dead than to hear or see God’s Word and his servants contemned; but ‘tis the frailty of our nature to be thus discouraged. 321. They who condemn the movement of anger against antagonists, are theologians who deal in mere speculations; they play with words, and occupy themselves with subtleties, but when they are aroused, and take a. real interest in the matter, they are touched sensibly. 322 ‘In quietness and in confidence shall be your strength.’ ‘This sentence I expounded thus: If thou intendest to vanquish the greatest, the most abominable and wickedest enemy, who is able to do thee mischief both in body and soul, and against whom thou preparest all sorts of weapons, but canst not overcome; then know that there is a sweet and loving physical herb to serve thee, named Patientia. Thou wilt say: How may I attain this physic? Take unto thee faith, which says: no creature can do me mischief without the will of God. In case thou receivest hurt and mischief by thine enemy, this is done by the sweet and gracious will of God, in such sort that the enemy hurts himself a thousand times more than he does thee. Hence flows unto me, a Christian, the love which says: I will, instead of the evil which mine enemy does unto me, do him all the good I can; I will heap coals of fire upon his head. This is the Christian armor and weapon, wherewith to beat and overcome those enemies that seem to be like huge mountains. In a word, love teaches to suffer and endure all things. 323. A certain honest and God-forbearing man at Wittenberg, told me, that though he lived peaceably with every one, hurt no man, was ever quiet, yet many people were enemies unto him. I comforted him in this manner: Arm thyself with patience, and be not angry though they hate thee; what offense, I pray, do we give the devil? What ails him to be so great an enemy unto us? only because he has not that which God has; I know no other cause of his vehement hatred towards us. If God give thee to eat, eat; if he cause thee to fast, be resigned thereto; gives he thee honors? take them; hurt or shame? endure it; casts he thee into prison? murmur not; will he make thee a king? obey him; casts he thee down again? heed it not. 325. It was the custom of old, in burying the dead, to lay their heads towards the sun-rising, by reason of a spiritual mystery and signification therein manifested; but this was not an enforced law. So all laws and ceremonies should be free in the Church, and not be done on compulsion, being things which neither justify nor condemn in the sight of God, but are observed merely for the sake of orderly discipline. 326. The righteousness of works and hypocrisy, are the most mischievous diseases born in us, and not easily expelled, especially when they are confirmed and settled upon us by use and practice; for all mankind will have dealings with Almighty God, and dispute with him, according: to their human natural understanding, and will make satisfaction to God for their sins, with their own strength and self-chosen works. For my part, I have so often deceived our Lord God by promising to be upright and good, that I will promise no more. but will only pray for a happy hour, when it shall please God to make me good. A popish priest once argued with me in this manner: Evil works are damned, therefore good works justify. I answered: This your argument is nothing worth; it concludes not ratione contrariorum; the things are not in connection; evil works are evil in complete measure, bemuse they proceed from a heart that is altogether spoiled and evil; but good works, yea, even in an upright Christian, are incompletely good; for they proceed out of a weak obedience but little recovered and restored. Whoso can say from his heart: I am a sinner, but God is righteous; and who, at the point of death, from his heart can say; Lord Jesus Christ, I commit my spirit into thy hands, may assure himself of true righteousness, and that he is not of the number, of those that blaspheme God, in relying upon their own works and righteousness.